We had a meeting in Newport yesterday evening. So we did our favorite thing. 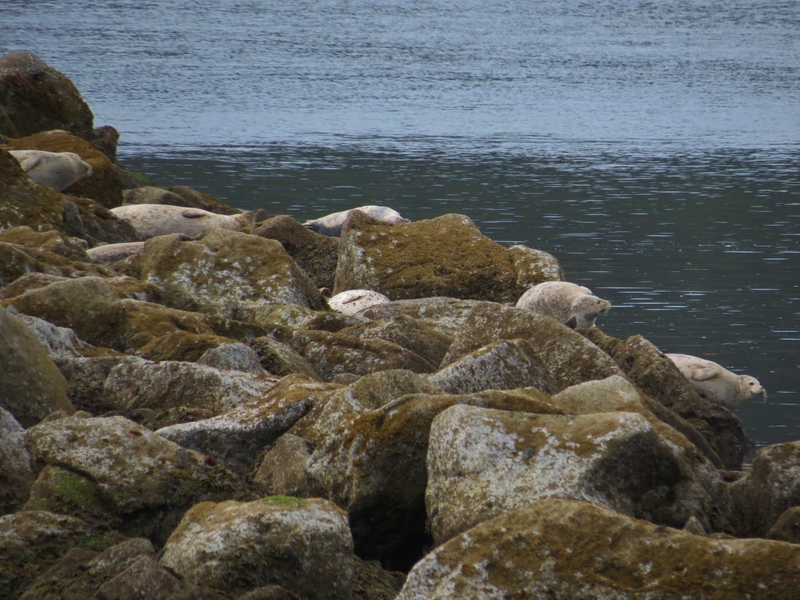 We ordered take-out from our favorite crab shack and went out to the South Jetty on Yaquina Bay, Newport, Oregon. 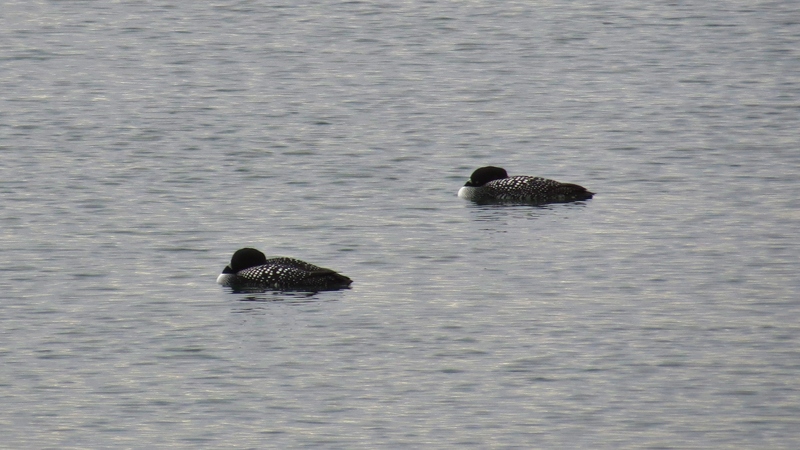 The loons had their beaks tucked into their wings for an after-dinner siesta. Whatever your fishing pleasure: from jetty or boat? 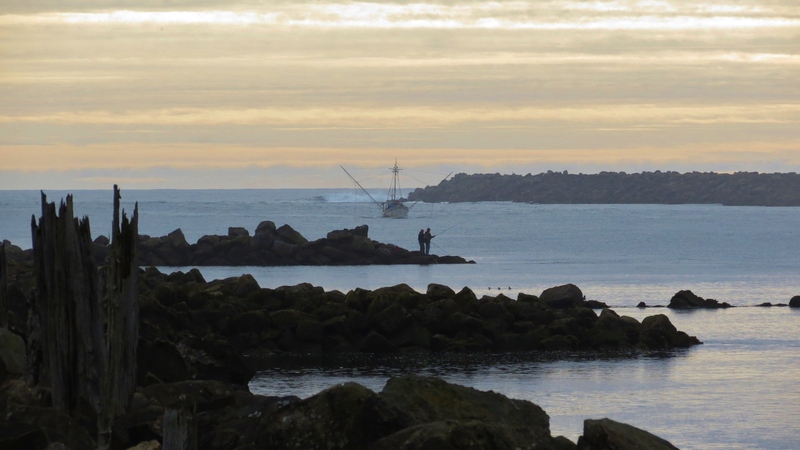 There’s a variety of fishing to do on the Oregon coast. 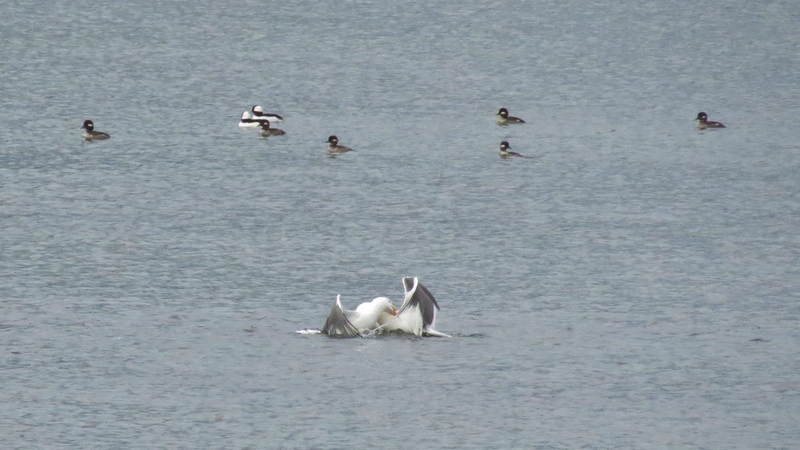 The mergansers don’t care about the seagulls fighting over something. After this little tussle one chased the other away anytime he came anywhere close. You want a piece o’ me?! 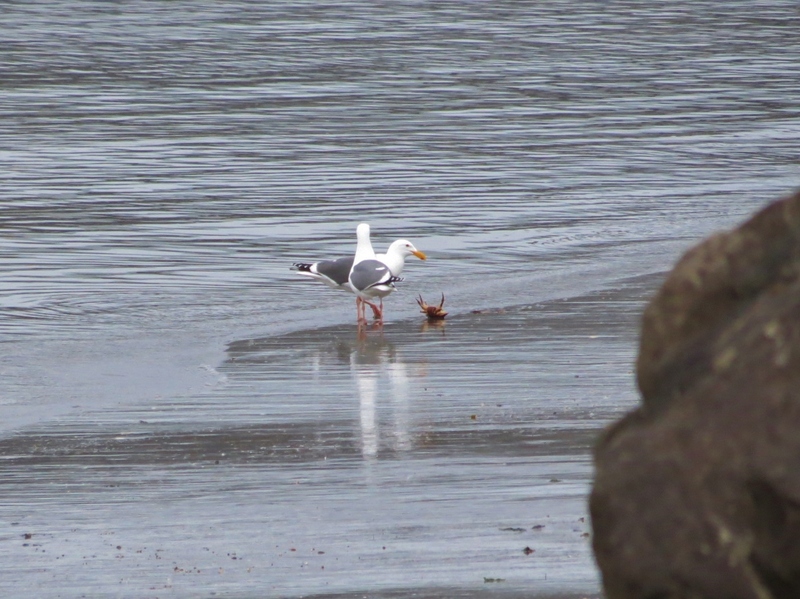 Then we watched a gull land in the water and pull up a crab in his beak. Then he dropped it and it was funny to watch him get it back. Seagulls are very buoyant. They cannot dive. He’d sort of jumped up so he could plop down lower in the water with his head shooting as low as he could get it under water to reach the crab. But it was like trying to push a beachball under water. He’d barely submerge a third of his body before he bounced back up. He finally got his catch to the sand. That crab was not ready to be eaten though! He’s going to pluck the seagull’s eyes out!